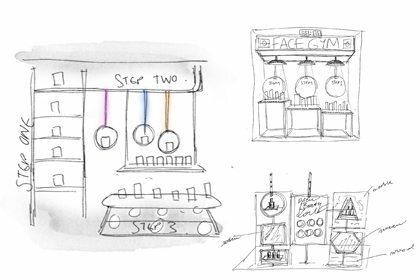 Take your Face to the Gym. 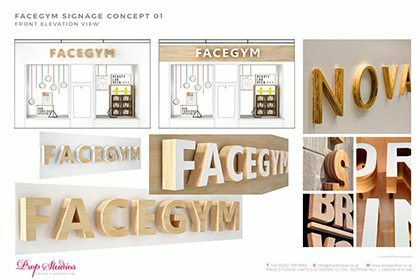 Prop Studios were absolutely delighted to partner with innovative brand Facegym on their very first flagship, located on the world famous Kings Road, London. 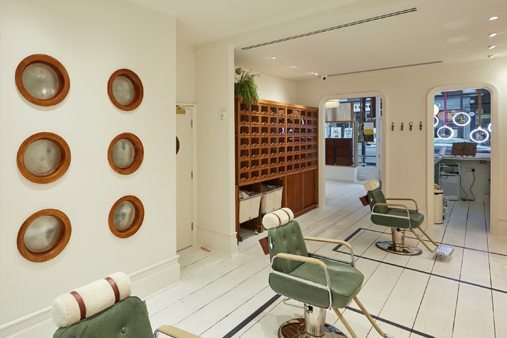 Founder Inge Theron has spent years travelling the globe in the search of the ultimate beauty and health experiences; the result is a market-first combination of stimulating treatments, bespoke products and world-class service. 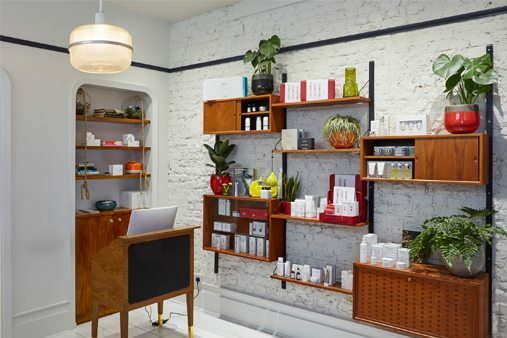 Facegym, as a market disrupter, is an exciting brand to work on customer experience with allowing us, through our designs, to redefine how customers experience skincare and wellbeing in-store. 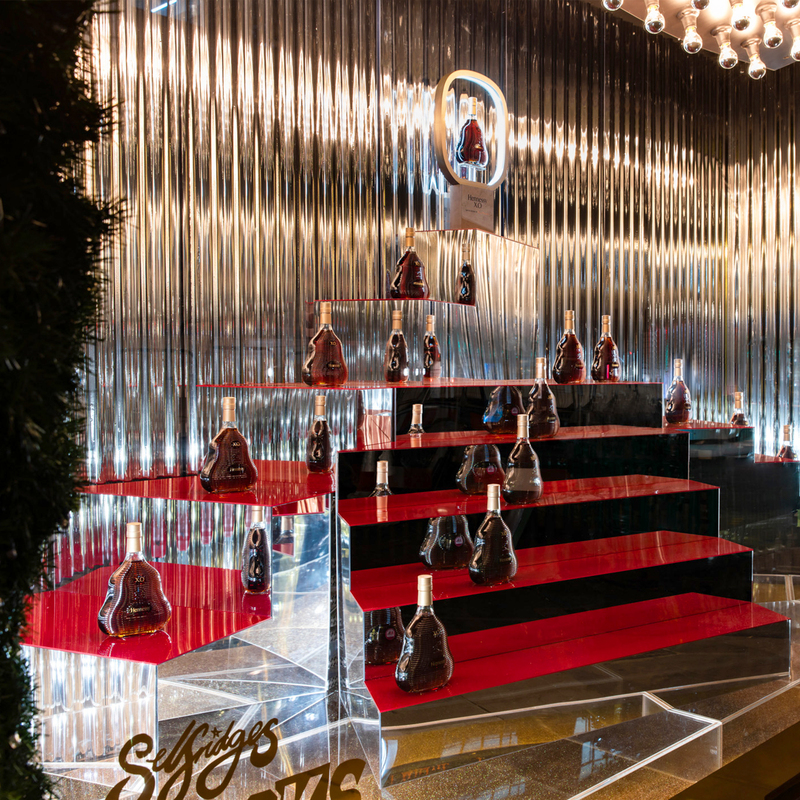 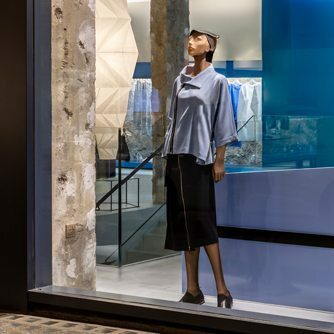 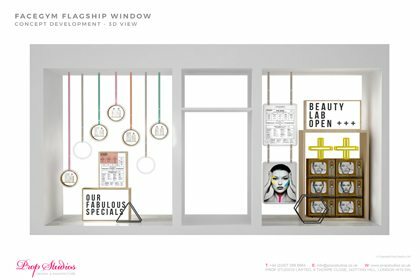 Prop Studios created a truly unique window scheme with the brand’s ‘future retro’ aesthetic concept at the forefront. 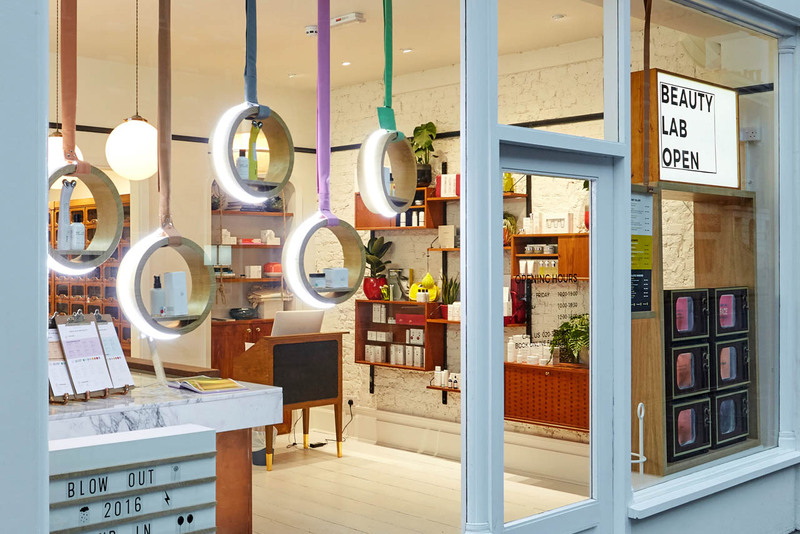 With a nod to the hoops found in traditional gyms, bespoke LED light rings are suspended with an internal oak shelf for highlighting key product launches. 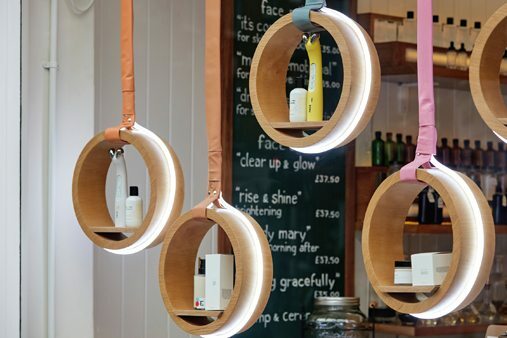 Hand-dyed leather straps also mimic the brand’s signature colours. 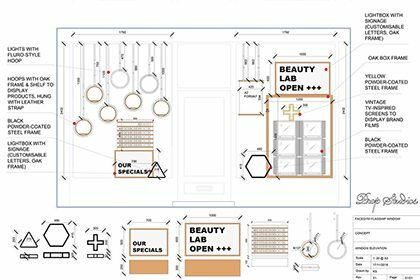 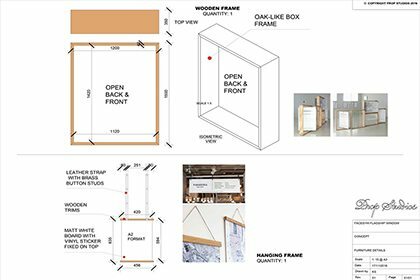 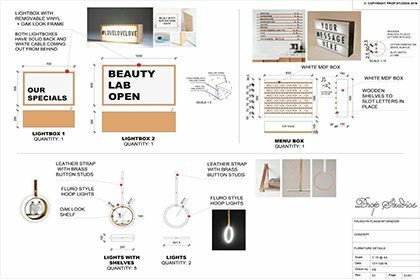 Bespoke oak frame lightboxes call out the intriguing ‘Open Beauty Lab’ concept with a simple play on the traditional “open” sign, whilst a discrete tonal store front and hang sign are bathed in a yellow glow – the brand’s signature colour. 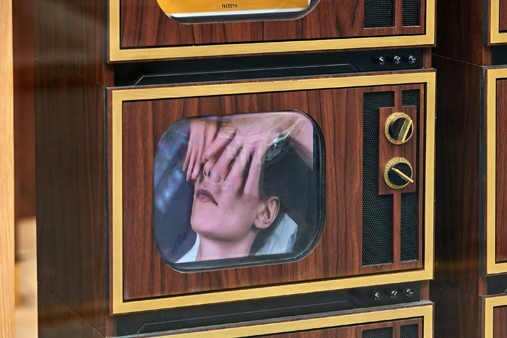 Six retro-themed screens were painstakingly recreated from original retro TV sets, with vacuum-formed moulds complete with curved screen wrapping over digital monitors. 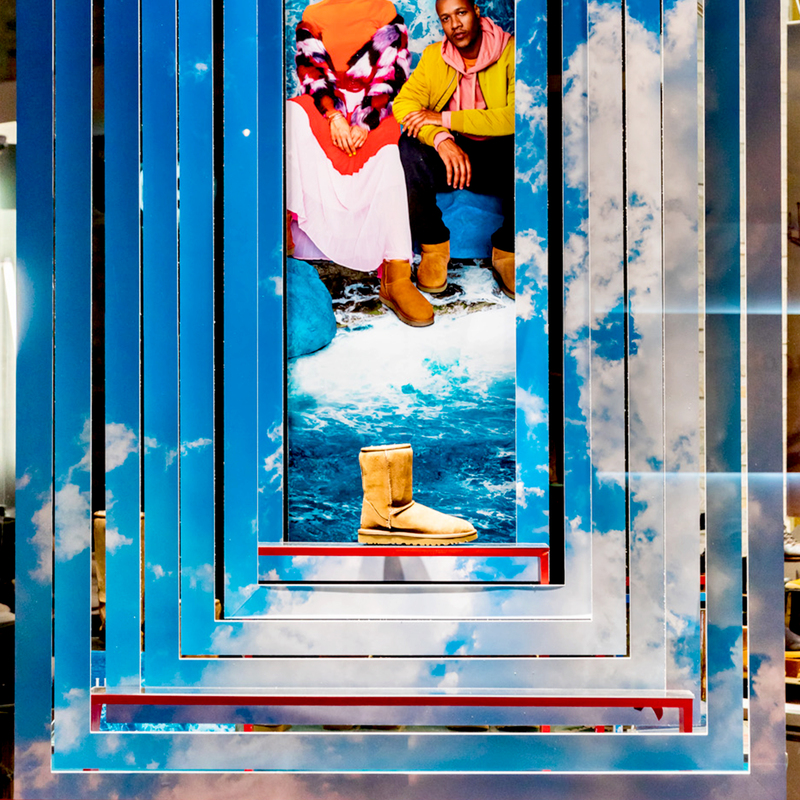 These are then stacked together, allowing the brand to showcase introductory tutorial videos and campaign imagery to entice and inform passing potential customers, whilst staying true to the future retro aesthetic. 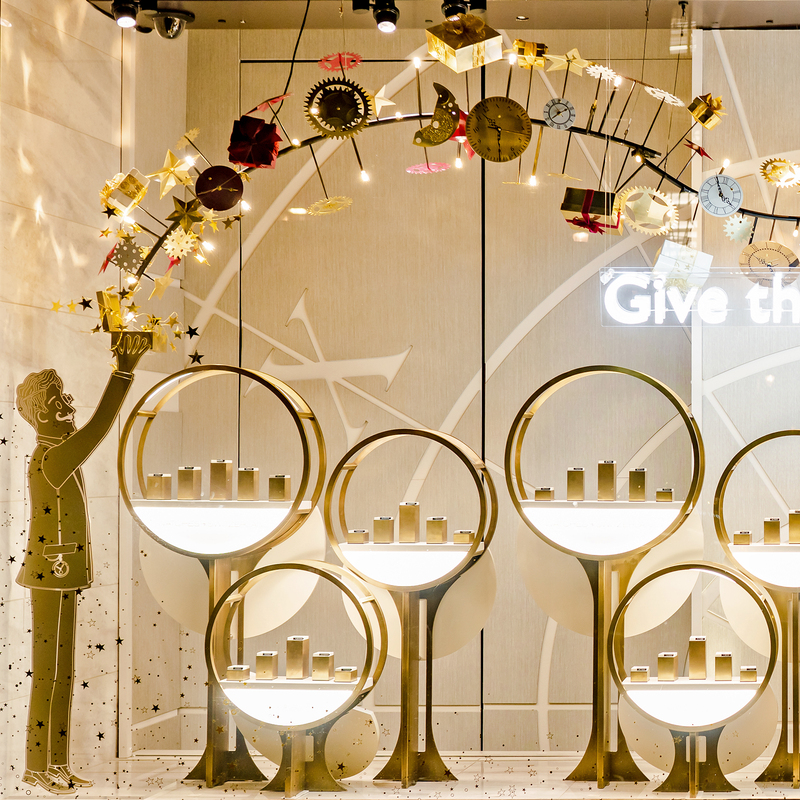 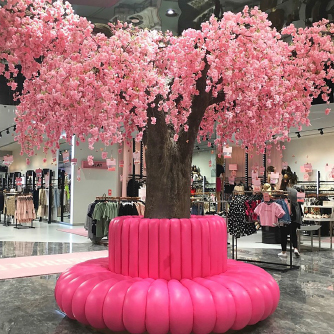 Inside the store, Prop Studios worked alongside the brand’s own team and designers Avroko to create a sensational combination of bespoke furniture and features in wood, copper and marble. 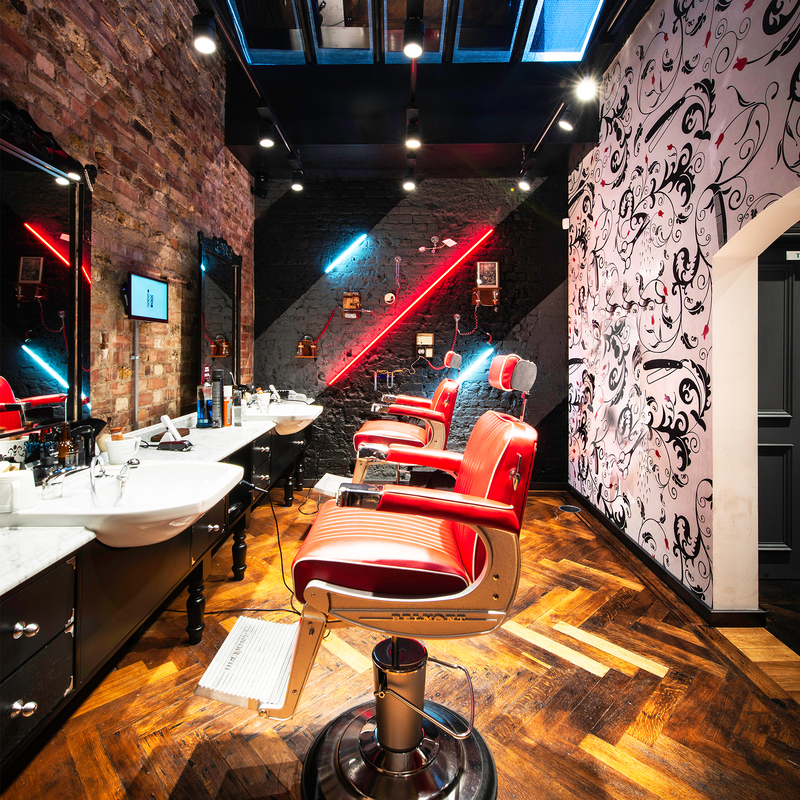 The studio includes a bar where customers can blend their own bespoke beauty products with the help of expert mixologists, before heading into the open-plan treatment room for their non-invasive facial workouts. 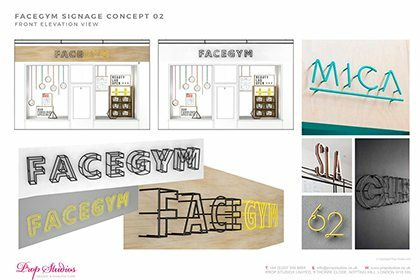 Our sister brand, FormRoom, continues to work on the expanding in-store identity of this exciting brand.